Ladner, British Columbia, is one of the province's traditional cities for boats and boaters. It is a place where a traditional marine community lives and is home to A3E Marine, with their staff of professional mechanics, electricians and marine engineers and one of the widest assortments of boats for sale BC has to offer. Located on Canoe Pass, just south of the municipality of Ladner, British Columbia, A3E Marine is a full-service boat repair facility offering haul out services, complete mechanical, electrical and structural repairs, complete rebuilds and restoration, and used boats for sale (including some of the best boats Vancouver has available). 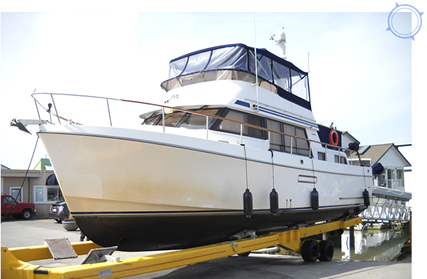 When considering lists of used boats for sale, it is important to consider the support services available from other dealers of boats Vancouver has listed. With our newly-extended boat ramp, a 40 tonne boat lift and large service bays, A3E Marine doesn't just offer boats for sale- we offer everything you need to get the most out of your boating experience. For our US customers: when considering boats for sale, BC offers some of the lowest rates in the region. Our general labour rate is $75 per man per hour: when it comes to repairing boats, Vancouver can't beat that. Also, when thinking about boats for sale, BC has a climate to consider - with this in mind, A3E Marine offers indoor heated shops for boats up to 40 feet in length. Our available boats for sale are highly accessible - please make an appointment today to come in and see our selection before you consider any other boats for sale.